Over the next week, Belfast city centre shoppers are being urged to support the Marks and Spencer Giving Tree to help local children in need have happier Christmas. The cross-community initiative, run by St Vincent de Paul and Belfast Central Mission, is back for its 17th year and gives members of the public an opportunity to pick a tag off the tree for a boy or a girl of a particular age and buy a gift for them which will then be distributed by the charities to families in the weeks leading up to Christmas. St Vincent de Paul and Belfast Central Mission have been involved in giving toy and food parcels to local children, families and older people in need for many years. With an increasing number of families coming to the charities for help in the run-up to Christmas, they approached M&S with the idea of having a ‘Giving Tree’ in the store. M&S immediately agreed and have now backed the initiative for 17 years. Michael Sands, St Vincent de Paul’s North Belfast Area Vice President explained: “We are so grateful to M&S and the public for their ongoing support of this initiative which we really rely on to meet the needs of local children. Sadly, more and more families are struggling financially and are coming to us for a bit of extra support, especially at this time of year when budgets are really stretched. 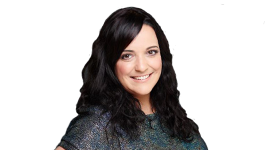 Colin McGreevy, M&S Belfast Store Manager added: “Marks & Spencer is delighted to be doing its bit to help promote this very worthwhile project which encompasses the true meaning of Christmas, reaching out to families who are really struggling in difficult times. The Giving Tree will run from 28 November – 10 December and can be found on the second floor of M&S in Donegall Place, Belfast city centre. Shoppers choose a ‘tag’ for a boy or girl of a particular age and return the unwrapped gift, along with its tag, to the tree, where volunteers from both charities will be on-hand to answer any questions. For more information on donating to or applying for help from the Giving Tree, please contact BCM on 9024 1917 or SVP on 9035 1561. 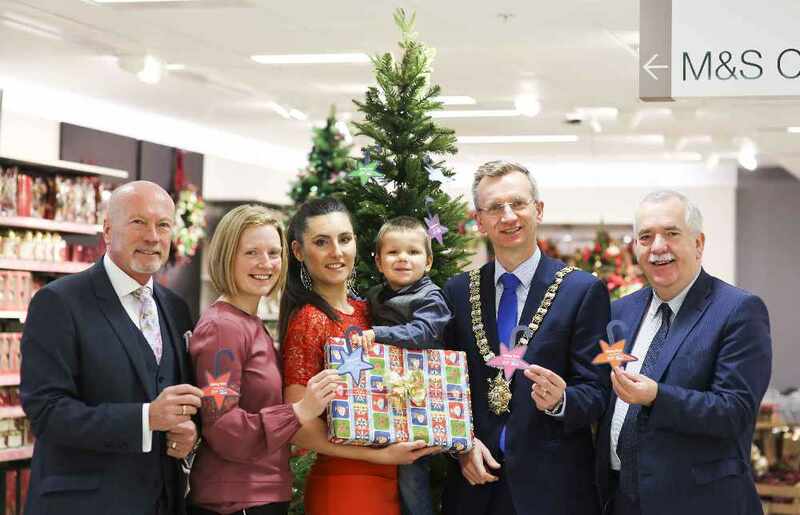 Bottom Picture:Launching the M&S charity Giving Tree is (L-R) Michael Sands, SVP; Gwyneth Davidson from M&S; Magdalena Zaluska-Pal from BCM with her son Ksawier aged 2; Lord Mayor of Belfast, Alderman Brian Kingston and Garry McKenna from St Vincent de Paul. 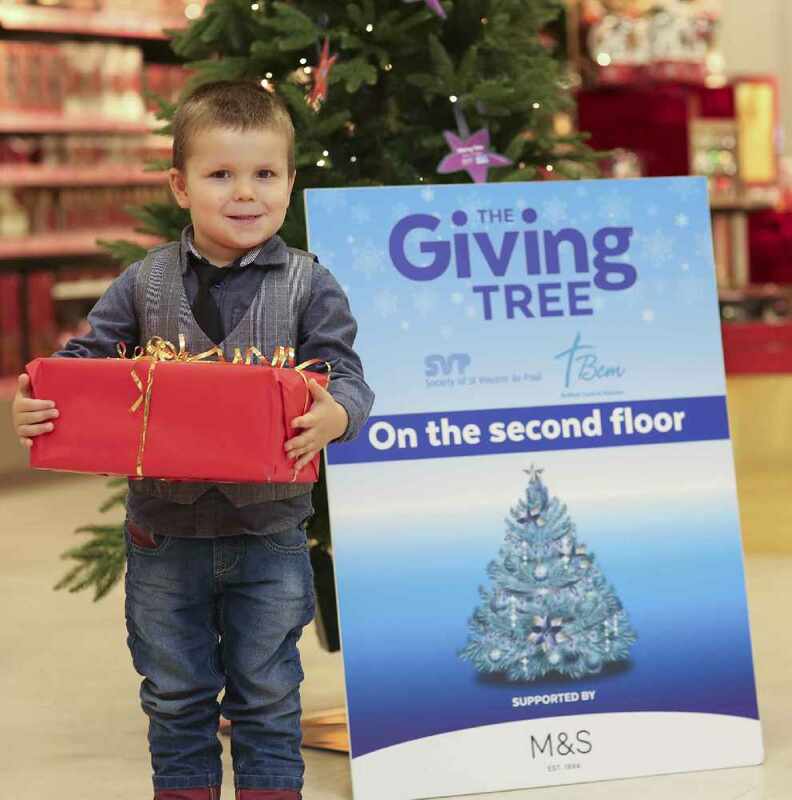 The Giving Tree will run in M&S Belfast city centre until 10 December.